GALION — Donley Ford of Galion will host Drive 4 UR School event to raise needed funds for Galion High School Athletics . This promotion is sponsored by Ford Motor Company and hosted by Donley Ford of Galion. 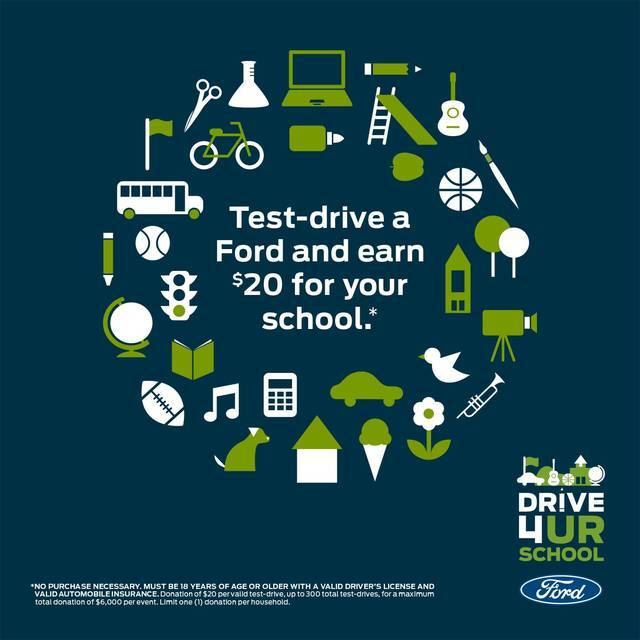 Ford Motor Company offers $20 per test-drive — up to 300 test-drives — to area schools and community non-profit groups thru their Drive 4 programs. The Drive 4 UR School event for Galion High School Athletics is Saturday, Oct. 13, from 8 a.m. to 3 p.m. at Galion High School, 472 Portland Way N., Galion. Additionally, for this particular Drive 4 UR School Event, Ford has offered that if participants choose to test-drive a second vehicle — a 2018 Ford Fusion — an additional $10 per test-drive — up to 200 — will be given to Galion High School. This allows for Galion High School Athletics to earn up to $8,000. This promotion is offered as part of Connections Weekend 2018 and Donley Ford of Galion anticipates great participation to raise needed funds for Galion High School athletics.